A local woman’s questions surrounding the death of her uncle during World War II have now been answered. Frances Luminello (Payette) has always had a special place in her heart for her uncle, 2nd Lt. Francis H. Payette, of Spragueville, who was the first serviceman from Smithfield to give his life for his country in World War II. One reason for the connection to her uncle is that she was named after him. “I was going to be named Frances whether I was a boy or a girl.” She explained. Until recently, all Frances knew of her uncle’s death was that he was killed in a plane crash in the mid-west. That’s all anyone knew. Lack of details pertaining to death notifications was common during the war due to war-time secrecy and the rapid transfer of personnel. But there was another reason for secrecy in this particular case. This had been no ordinary crash, and investigators were baffled as to the cause. July 3, 1943, had been a good day for flying for the lone B-17 bomber as it made its way from Kearny, Nebraska, to Florida. Even though the country was in the midst of World War II, the plane was traveling friendly skies, and the simple training flight should have been nothing more than routine. 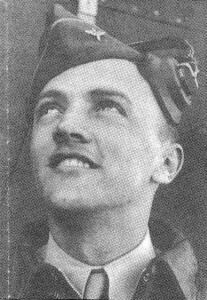 The co-pilot was Lieutenant Francis Payette. 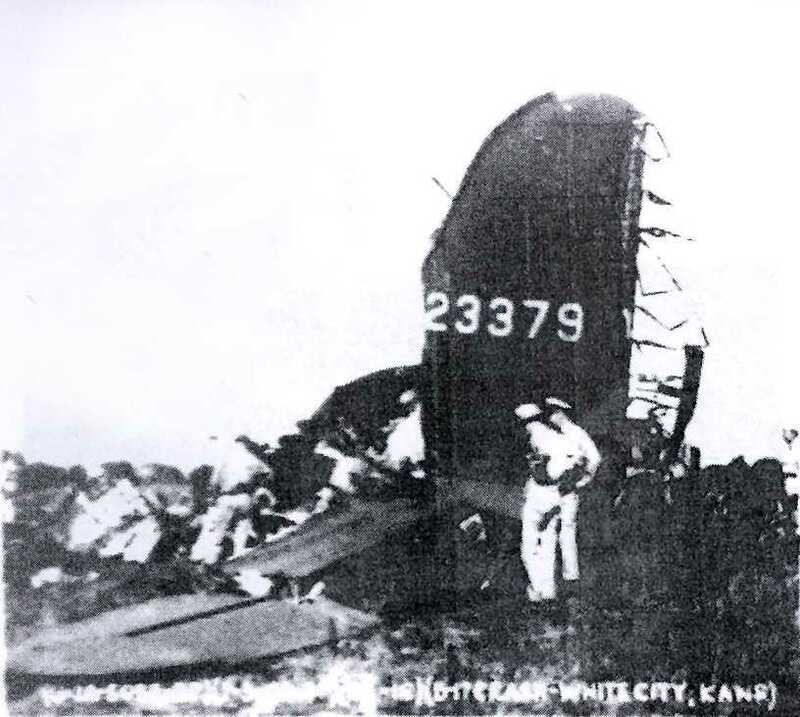 Both he and the pilot were well versed with the operational capabilities of the B-17, and when the aircraft encountered turbulence as it passed though a weather system over Kansas, it is doubtful that either man was worried. What happened next was sudden and without warning. In an instant, the plane was engulfed in blackness; there was the sound of ripping metal, followed by a terrific rush of air. In the next second, the plane was free of the blackness and spinning like a saucer through the sky. The centrifugal force inside the aircraft would have made it impossible for anyone to bail out. Those in the aft portion of the plane were shocked to see that the tail section had completely disappeared! A gaping hole was all that remained where the rest of the plane used to be. The B-17 was well known for the massive amounts of battle damage it could absorb and still remain airborne, but even the mighty “Flying Fortress” couldn’t stay in the air without a tail. There was nothing either pilot could do. Lieutenant Payette was born and raised in the white farm house that stands on Pleasant View Avenue at the foot of Swan Road. He was one of nine children, six of which were boys. The family owned Payette Orchards, which at one time covered land on both sides of Pleasant View Avenue where condominiums and houses now stand. As a boy, he attended the one room Spragueville schoolhouse just three doors up Swan Road from his home, and later graduated from La Salle Academy in Providence. As a young man, he worked in the orchards and helped run the family market that stood across from the family homestead. When the United States entered World War II, he enlisted in the Army Air Corps pilot-cadet program. Francis completed the rigorous training and was awarded his pilot’s wings in May of 1943. He was assigned to bombers, specifically, the B-17 “Flying Fortress”, a four-engine heavy bomber. At the end of May, he returned home on furlough to visit friends and family. Photographs of that visit show Francis in his uniform looking tall, fit, and handsome. One in particular shows him standing with his fiancé, a local girl named Ruth who wrote him letters nearly every day. The smiles in those old photographs hide the thoughts that pass though the minds of all families during wartime who are seeing a loved one for what may be the last time. Francis himself was aware that he might not come back, for in another letter he sent home he mentioned keeping some items for his old age, adding, “If I get old”. In closing he wrote, “Well Ed, excuse the short letter as I haven’t any more time. I’ll write again soon if I can find that thing called time.” Four days later Lt. Francis Payette was dead. 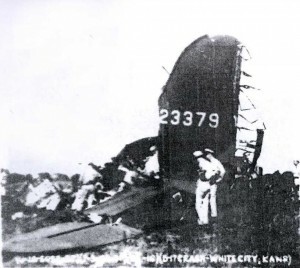 The ill fated B-17 came down in the farming community of White City, Kansas. The resulting explosion killed all ten crewmen aboard. One of the first to arrive at the scene was Earl Aikins, White City’s Chief of Police, who kept onlookers back until military officials arrived. Everyone who had witnessed the event agreed that the aircraft had simply fallen from the sky without its tail section, but none could offer any explanation. The tail section had come down in a field about a mile from the crash site, and investigators were at a loss to explain how it had separated from the aircraft. The jagged edges suggested that it had been forcibly torn away from the main body of the plane, almost as if two giant hands had grasped the aircraft and pulled in two different directions. The initial investigation ruled out sabotage, faulty maintenance, and metal fatigue. Investigators were at a loss to explain what happened until two witnesses came forward who were able to shed new light on the incident. Their statements were taken on July 19, and marked “CONFIDENTIAL” before being added to the official report. Back in Smithfield, the Payette Family grieved. Lt. Payette’s body was escorted home and buried with full military honors, but his sacrifice was not forgotten. Within a few days, it was proposed that an honor roll monument be erected bearing the names of those from Spragueville serving in the military. A granite stone was donated by the Payette Family, taken from one of the stone walls that lined their apple orchards. 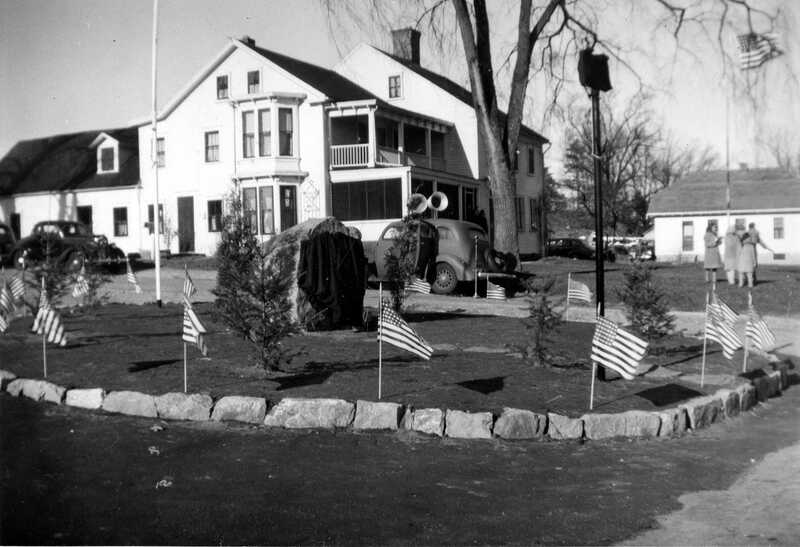 The dedication ceremony took place on December 5, 1943, and the intersection of Swan Road and Pleasant View Avenue was officially named “Francis H. Payette Square”. The cause of the crash remained a secret throughout the war and for decades afterwards. Perhaps because the army was afraid that B-17 crews would lose faith in their planes if word got out, or maybe there were other reasons. The two confidential statements are brief. A husband and wife who lived six miles north of White City reported seeing a huge, black, swirling funnel cloud dip down from the clouds but never actually touch down. As is swirled through the sky, it abruptly disappeared up into the clouds. Moments later, the B-17 came spinning out of the sky, falling through the very clouds that had swallowed the tornado. It was surmised by the army that the tornado had sucked the aircraft into it. Today, that long ago event is all but forgotten, but the Spragueville World War II honor roll monument still stands to one side of Swan Road at Pleasant View Avenue. Of the 49 names listed, four have a star next to them indicating they made the ultimate sacrifice. Besides Lt. Payette, there are; Capt. Peder A. Johnson, of the U.S. Merchant Marine, whose ship was torpedoed in the summer of 1943; Sgt. Robert M. Martin, a tail-gunner on a B-17, who was shot down in July, 1943, while on his first mission; and Private Richard O. Austin, who was killed in France, June 9, 1944. Hundreds pass by the monument everyday without realizing that there is a story behind every name listed. For Frances Luminello (Payette), the story of her uncle is now a little more complete. Francis H. Payette Square – December 5, 1943. The Payette family home can be seen in the background.